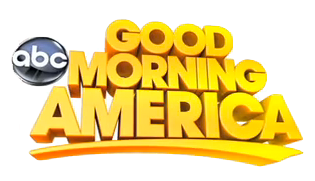 Today Cadex Electronics was featured in the Good Morning America show across US and Canada, with an estimated viewership of over 4 million people. The approximately 2 minutes piece revolved around cellphone USB battery packs testing, and Cadex collaborated with The Wirecutter to test over 20 different USB battery packs and provide reliable testing results which were used by GMA and The Wirecutter to rate the best USB battery packs in the market. The battery pack testing happened in our lab, located in our Head office in Vancouver, BC, and was conducted by Gary Kwok, Applications Engineer Manager, together with Mark Smirniotis, Senior Editor from The Wirecutter, while on camera from Good Morning America. “It was a great experience working with the folks at GMA and The Wirecutter and we’re glad that the C7400-C units were able to meet their battery testing needs” said Gary, from Cadex Electronics. We’re happy to be able to support again general media outlets and technical review sites provide useful information to the end consumers, using our expertise and facilities. If you’d like to know more, please reach us out at Press@Cadex.com or visit www.cadex.com.